THIS HOME IS LOCATED IN 55+ COMMUNITY AND IS CLOSE TO MANY OF THE WONDERFUL AMENITIES THAT THIS COMMUNITY OFFERS-SUCH AS A BEAUTIFUL GOLF COURSE, CLUB HOUSE, SWIMMING POOL & RESTAURANT. IT ALSO HAS HAD MANY UPGRADES IN LATE 2017 - INCLUDING NEW CABINETS IN KITCHEN, NEW FLOORING THROUGH OUT HOME & MUCH MORE. 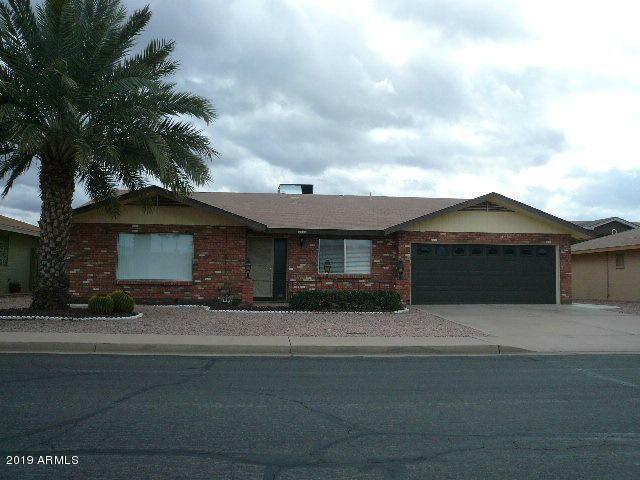 THIS 800 MODEL HAS AN ARIZONA ROOM COMPLETE WITH NEW WINDOWS AND DOUBLE DOORS GOING INTO THE BACK YARD. HOME HAS ALSO A COVERED PATIO IN THE BACK YARD. THE SQUARE FOOTAGE DOES NOT INCLUDE THE ARIZONA ROOM. THIS HOME HAS A TENANT OCCUPANT TILL END OF MAY - SO MAKE AN APPOINTMENT TO SEE INSIDE.